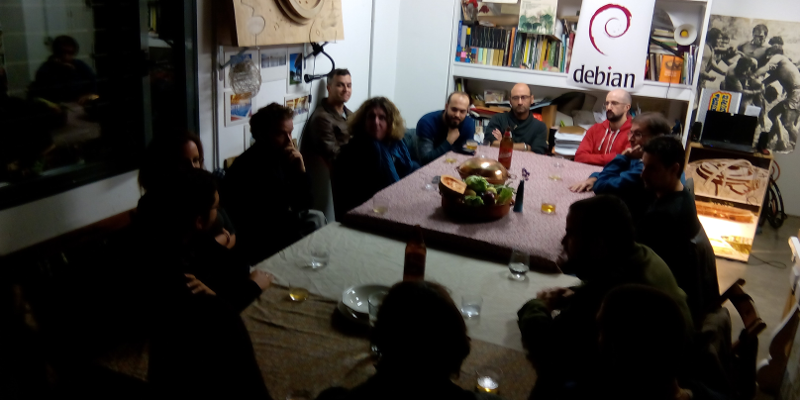 Last week we had an interesting Debian meeting in Seville, Spain. This has been the third time (in recent years) the local community meets around Debian. We met at about 20:00 at Rompemoldes, a crafts creation space. There we had a very nice dinner while talking about Debian and FLOSS. The dinner was sponsored by the Plan4D assosiation. I would like to thank all the attendants and Pablo Neira from Plan4D for the organization. Looking forward to another meeting in upcomings times! Header picture by Ana Rey.